We are supplying high quality imported weighing scale. Equinox Analog Weighing Scale is a highly accurate analog weighing scale and carries capacity of up to 120 Kilograms. This analog weighing scale is a durable and easy to read weighing scale and comes with anti-slip rubber top. Baby Digital Weighing Scale designed for every new mommy who wants to keep a track of the baby’s weight, the Equinox BE-EQ 22 baby digital weighing scale is a must-have. As a baby’s weight is directly proportional to the health, immunity and overall development, it’s mandatory to have a regular check on the baby’s weight. It is also vital to weigh your baby periodically as rapid growth and changes occur during the first two years of your baby’s life. 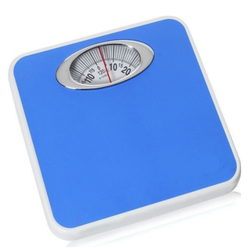 This weighing scale features a 1.2-inch LCD screen that displays large, easy-to-read numbers. You can check your baby’s weight in kilograms or pounds. Digital Weighing Scale products have revolutionised the luxury fitness sector. Their high quality products are known worldwide, and they are made with the highest standards kept in mind. 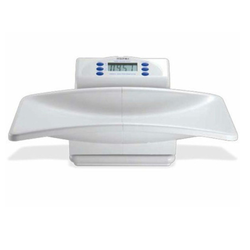 The Equinox EB-9300 Weighing Scale is one such product. This product enables you to check your weight easily as well as accurately. The product looks very classy and elegant, with its delicate flower pattern and slim design. This product comes with a manufacturer’s warranty period of one year. The large LCD serves to show you the weight clearly and boldly, so you will never have to spend more than a moment peering into the scale in the morning. The maximum load this scale can carry is 150 kilograms, and the display shows values accurate up to a 100 grams. This product has an easy turn-on and turn-off mechanism: simply step on and off it! Thanks to its auto off mechanism, power is saved. 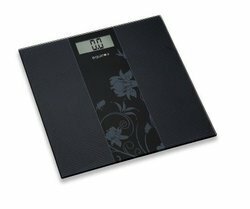 Buy the Equinox EB-9300 Weighing Scale online today! Equinox Analog Weighing Scale is a high accurate analog weighing scale and carries capacity of upto 120 Kilograms. This analog weighing scale is a durable and easy to read weighing scale and comes with anti-slip rubber top.